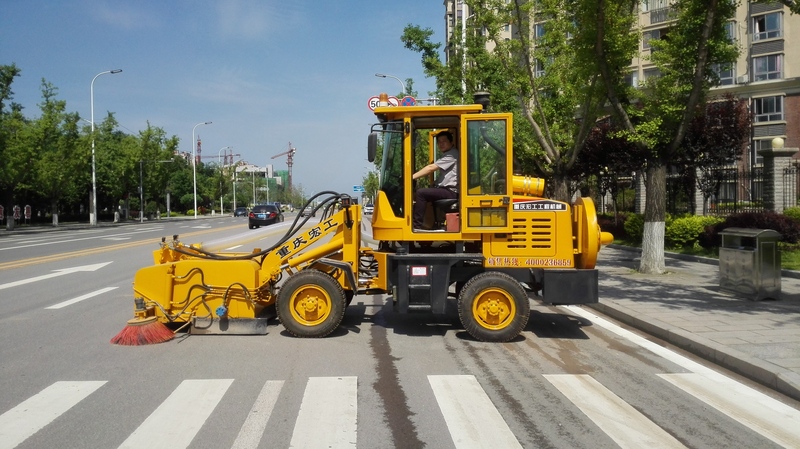 Product categories of Road Sweeper, we are specialized manufacturers from China, Road Sweeper, Road Sweeper Tractor suppliers/factory, wholesale high-quality products of Road Street Sweeper Machine R & D and manufacturing, we have the perfect after-sales service and technical support. Look forward to your cooperation! Clean streets and surfaces are vital to air quality, water quality and overall community health and safety. True clean requires a rugged, reliable machine that can take it to the extreme like HongGong company's street sweepers can. Backed by over 20 years of engineering and manufacturing know-how, service excellence, the highest sweeper standards and the support of the industry`s strongest dealer network, we uphold the promise for our street sweepers every day to be there for the life of your machine.